What topics do they focus on? The next question we have for you is, would you consider starting a club? Starting a club means that you have the deciding say on where, when, and what your club is about. Here’s how to get started! The first things to consider are the basic rules of how a club functions. There are 2 background screened adults. The club meets at least 1 time a month at a regular date/time. Leaders will attend 2 training sessions per year. Clubs will consist of a minimum of 5 members, no more than 3 must be related. 4-H is open to youth ages 5-18. A monthly attendance sheet must be submitted to agents. Clubs operate to provide youth a safe and inclusive environment to learn and grow. So what is your club about? Every club has their own essential personality. Clubs can have a variety of focuses that can range from topic specific (such as animals, nature, community service, robotics, or leadership) or can be a general club to explore topics and focus on creating a fun, catch-all community. Your club can be either or a combination of focused and general! Still unsure? You don’t have to know all the answers at your first meeting! Frequently, clubs start in order to address the need to establish a club in an area, rather than a topic. Once you have enough potential members, club discussions can lead to the overall goal. You can change your focus as often as your club needs. Clubs operate in a suggested % breakdown. Clubs do not have to be hosted out of a leader’s home! In fact most of our Nassau County clubs use county buildings for free to host meetings. We can help you find and schedule locations. Whatever you choose your agents can help guide you in these decisions, finding activities, and even helping you in your first meetings. We truly see our clubs as a fundamental part of the overall Nassau County 4-H Team. 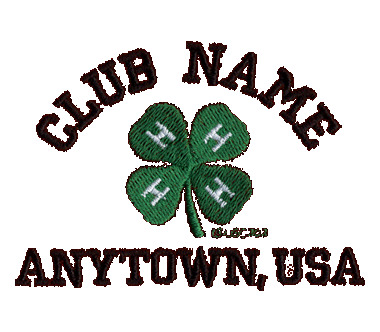 If you need more guidance read this article from Florida 4-H.
Of course if you believe you a ready to start a club, come see us! Our agents are excited to help you on your 4-H journey. You can contact us via e-mail (kelseymirvine@ufl.edu), by phone (904-530-6353), or stop by (543350 US HW 1, Callahan, FL 32011). ← What is eating my azalea?